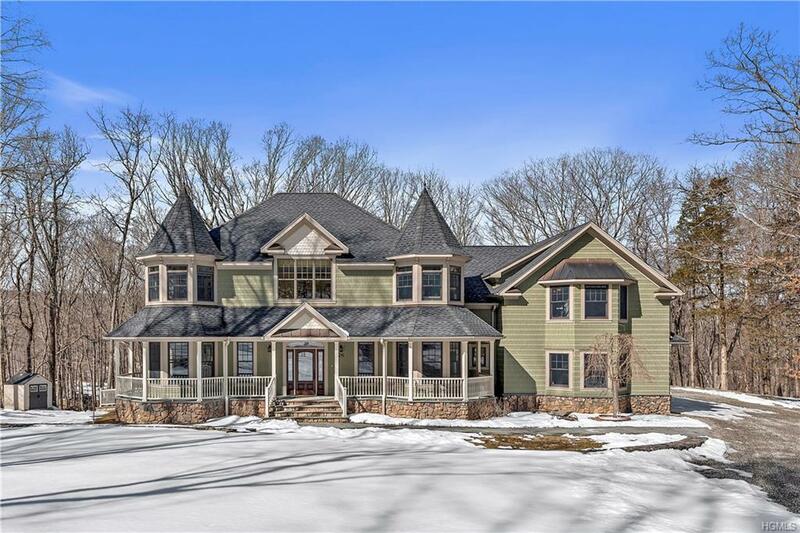 Majestically conceived, this extraordinary arts and crafts colonial, with wrap around front porch, is sited on 2 acres. Superb craftsmanship is evidenced throughout this custom designed home, richly detailed with the finest millwork and finishings. 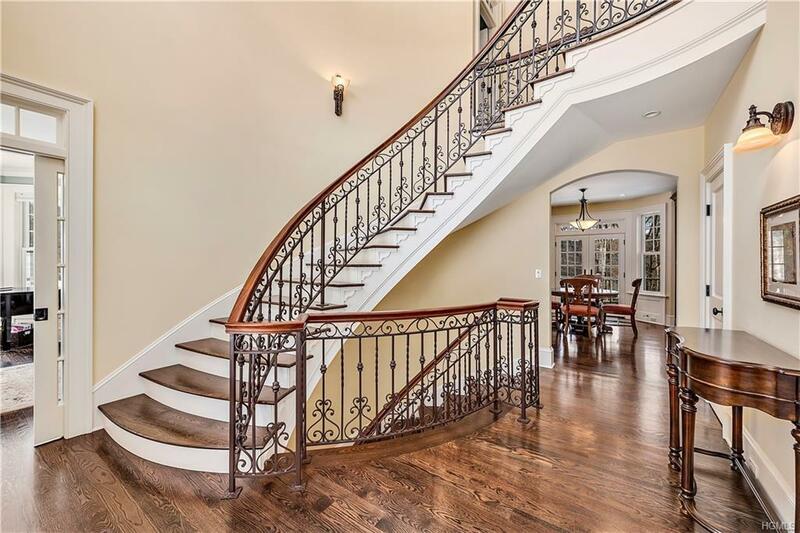 Transom windows, stained glass, coffered ceilings, gleaming hardwood floors, handsome inlaid paneling and pocket doors are only a few of the features of this sumptuous home. The perfectly scaled rooms create a warm and intimate atmosphere; formal living room, dining room, family room with gas fireplace, gourmet eat-in-kitchen, Butler's pantry and powder room complete the main floor. The opulent master suite, three additional bedrooms and spacious bonus room with wet bar and private entrance are located on the second level. The stunning lower level features a stately library and office with gas fireplace and the quintessential Billiard room. Brilliantly sited, this home enjoys sunlight throughout the day and exquisite sunsets. Listing courtesy of Candice B. Stafford of Coldwell Banker Res Brokerage.